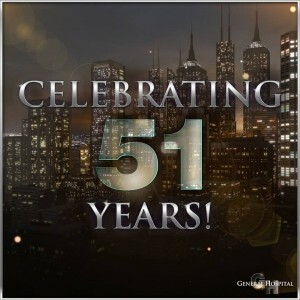 General Hospital Celebrates Its 51st Anniversary Today! Today, ABC’s General Hospital turns 51 years young! The show premiered on April 1, 1963 and is still beloved by millions of viewers who tune-in each day. After its monumental 50th anniversary celebration last year, in 2014 the show promises on today’s episode including the highly-anticipated Carlypolooza, nostalgia, love, and some more surprises for its long time fans. Post your congratulation messages to GH for another year of success in the comment section below, and make sure to tune-in today to see what’s in store on the 51st anniversary episode! Nicholas from Frank Valentini on Vimeo. All About Jane! General Hospital's Jane Elliot Dishes On The Life Of Tracy Q And More! NASHVILLE's Deacon, Avery, Gunnar and Will Live! Tour Dates Announced! Love this cute video!!! Love Nicholas as Spencer!!! Love GH!!! Happy 51 years!!! Thanks for the best soap ~ GH!!! Let’s hope there are 51 more years!!! Heidi I love gh too, but lets be honest gh has 2 years left tops. ABC want out of the soap business. I still don’t trust abc, they will stab us, in the back again. Lets just enjoy gh for now. But gh, will not see another 51 years lets be realistic . This is just so cliche. When GH was in its 49th year everyone said oh it wont reach 50. Then we had the people say it will hit 50 and be cancelled. Then people said oh it will be cancelled after the 51st anniversary. Now here are posts saying it will be gone in the next 2 years. Gotta love the doomsday predictions that have yet to come true. Why people harp on when the show will be cancelled is getting so old. The numbers are far better than they have been in many years. Eventually yes General Hospital will get cancelled but to say it will be in one year, two years etc is just dumb. When the ratings hit rock bottom then come back and discuss the show being gone. When those season averages are higher than they have been in 5 and 6 years that tells you the show is going to keep going. I said I hope… and I do… all naysayers aside… I choose to hope that it has a very long life. I choose not to buy into any one trashing it or putting up any dooms day predictions. I choose to enjoy and watch for as long as I can and for as long as it is there to let me! It’s a fun show… let’s have fun here talking and reading about it! Frank was certainly having some fun putting this video up… shouldn’t we embrace the fun he intended? I am so proud and happy for General Hospital’s longevity. It was not to long ago the rumors of their cancelation was right around the corner.Thanks to the team of writers and producers who have shown a great love and respect to the iconic tv series history. General Hospital has experience a rebirth and fans of their yesteryear are coming back and seeing the show they fell in love with years ago. 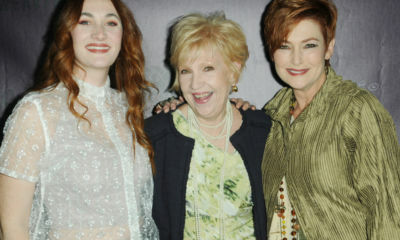 51 years is great and im grateful the show is still with us! I like the show and im entertained but the show has flaws and could be much better…A.Js trial shouldve happened much sooner and the character didnt have to be killed off AGAIN! He either shouldve have been in a coma or had a mental breakdown…or found guilty for accidentally killing Connie and sent to prison! Tracy seems a little dumber than usual…she knows Luke is acting strangely and should be more suspicious…she was too quick to judge Lauren(kiki) and believing she made a pass at Luke! I like the Silas mystery but no ever mentions his lookalike brother who couldve put Nina in a coma…i still believe Ninas alive and Madeline is her stepmother…i originally thought the person playing Nathan was going to be much better but his acting is horrible…ill give him more time to improve! Previews mentioned Steve, Jessie and a few others…will Monica see them roaming the halls of GH like its been hinted(using either old clips or lookalikes)? I think Monica faked A.J. dying again so she could ship him off to some clinic to recover (played by another actor). I rewatched…i think Britt will return Ben to Dante and Lulu? After thirty years of watching GH, I am no longer watching due to the horrifically bad and choppy writing, the destruction of core characters, stunt casting, stunt plotting and trotting out one new character after another. The killing of AJ before he completed his redemptive process was the last straw. And I wish they’d stop exploiting this kid–it’s making him come off as petulant, unnatural and affected. He also should not be allowed on Twitter. I agree completely with your “choppy” description because that is exactly what is wrong with this show, storylines just flutter about like a bird jumping from one twig to another. And you are also right about AJ, killing him off was a very poor lousy decision and I agree the redemptive process should have been explored and given the audience hope which soaps have always done. So they should go back to writing the show in the way that the ratings were horrible? I’d love to see you both do a better job and stay within the budget and restraints that the network dictates. You wouldn’t last a day yet Ron Carlivati has lasted and has brought the shows numbers to the highest they have been in a long time. I like Ron carlivati he has enthusiasm for the soap genre. But you have to agree David that killing off a legacy character right before the anniversary isn’t the best decision. Just my opinion and obviously people feel the same. Only when the Scorpios were back, front and center were the ratngs the highest in a long time…now they’re back to where they were when Ron took over. From the end of 2013 the show has lost 15% of its viewership, the most of any of the daytime soaps by a factor of 3. With the Cranco kidnapping cartoon and the fiasco of naming Dr. O Chief of Staff of GH RC couldn’t write more of a parody if he tried. And the ratings decline is what is to show for his efforts. Now he used the anniversary episode to kill off AJ – completely unnecessarily- and spent the rest of the show justifying his murder with lies and rewritten history. One almost has to assume TPTB are trying to lose audience so the new head of ABC daytime can put something else in the slot. The actor wanted off the show. He gave notice they wrote the story that would be the best send off and leave so much more to tell for the other actors. You can not blame them for his choice to leave before his contact ended. The ratings show that the writing is better then ever. You can not make everyone happy so why even try. Tell a good story. Bring back my Favs. Go at a faster pace….are these not all good things? I agree that AJ went out with a bang so to speak.Plus AJ’s death will have long term ramifications for the other characters on the show and create more story.Yeah i wish they hadn’t killed AJ but i don’t write the show and they may have thought AJ been dead was better storywise then him been off screen somewhere.Plus as you point out Sean Kanan wanted off GH and they willing to let him go because they may not have wanted someone who was unhappy.Finally GH has just celebrated 51 years on the air and they are moving forward and not looking back. Will Jason be on? Really miss him. Love it that the Carlies will be on..Sarah Brown my favorite ex-Carly but love Laura Wright. can’t wait to see it today!! I absolutely can’t wait! Congratulations General Hospital! Please continue to remember the iconic history of the show and the core, legacy characters! Happy 51st birthday General Hospital!Yeah GH could be cancelled at anytime but right now i think we should enjoy watching it while we can.Plus i think it’s nice that actors that have left the show are willing to return even if it’s just for one episode.Some actors may feel they owe GH because they started their careers on the show and now they can return the favor sort of. I’m bummed that on the anniversary, programming was interrupted with President Obama talking about healthcare enrollment! They cut out half the show! It will be a grey day in California if GH everwraps up. The actors are so strong –but what’s going on with Luke!!! Congratulations GH! I began watching in 1963 when Steve Hardy and Jessie were on. Over the years, I’ve lost touch with the show a few times but I’m really enjoying it now. Thanks FV, RC, ALL the staff of GH for saving a great soap.. I look forward to and enjoy GH every day! As boring as gh can get it’s nowhere near as bad as Y&R which is unwatchable at this point, a blank screen is preferable. Congrats GH!! Congrats, Happy 51st GH a big one only in Hollywood, CA…. Many more birthdays to come..
Just finished watching GH’s anniversary episode and I loved it. A very moving show, especially Monica’s scenes with Emily and AJ, as well as Sonny’s with SJB’s, TB’s and LW’s versions of Carly. Here’s hoping for many. many more years of this great and venerable soap! If they had celebrated the show by stuffing Ron C. inside a pinata and let Sean Kanan and Leslie Charleson take some swipes at, that would have been a real celebration. Focusing instead on the Three Faces of the SlagBeast and the Howler Monkey she loves didn’t do it for me. Both of them have less taste than bored baboons at the zoo and even less talent. I wish there was something to be excited about. This regime has proven to be so far out of touch with what viewers want to see that it is truly mind boggling. They choose the day before the anniversary to kill off a legacy character…again???? Who does that????? AJ was brought back to much fanfare and excitement in 2012. His death was the most vicious and gruesome murder since that of Frankie on Another World. We got to see him remember that he was innocent…then be tortured by Ava, then shot point blank by Sonny, then called every name in the book by Snny and Carly. We got to see him briefly wake up a few times, then watched him die. Do these writers realize that all four of Monica’s children have been brutally murdered? Three of those deaths can b directly traced to disgusting career criminal Sonny. It is just cruel and very inhumane writing. I lost my 2 oldest brothers to cancer within a month and a day of each other, and then a year and a half later, lost my mom. Watching this show is just not entertaining in any way! But Happy Anniversary for the show that used to be and hopefully will again. Yet you obviously keep watching to know all you do. The return of AJ didnt bring ratings. There was excitement among internet fans that was about it. Soaps have always dealt with death as do a lot of other tv shows. If you don’t like change the channel and stop writing about it on the internet. Sadly In life people get cancer thats just keeping it real. If you want to see happy stuff all the time soap operas shouldnt be what you are watching. Obviously you don’t follow the ratings – viewership has dropped 15% since the end of 2013… you think that was because of AJ? How about Heather digging herself out of a grave after being stabbed and writing a note in blood? or the absurd kidnapping of Carly and dragging her all over town? You think that earned ratings? How many ratings points do you think the show earned when they put an international criminal in charge of General Hospital, after having Monica fired because her son was a suspect in a criminal case? If everyone who didn’t like where RC has taken this show stopped watching the ratings would tank ever further. Everyone has a right to register their displeasure for a show that has been on the air for 50 years. If you don’t like to see viewers express other than positive views, don’t read them. Like every other person on here, I am free to watch what I like and I am also free to post about it on here. I am a lifelong soap fan and I stick with them even through bad periods…and for me personally, this is arguably the worst GH has ever been. I dont care what the ratings say, or who else declares GH the beat show ever. The show is dark, disturbing, depressing, and often grotesque in its glorification of violence and crime. I will keep watching because there is hope that Ron Carlivati will be fired one day and a writer will b e hired to improve the show again. But thanks for your suggestion David. Johnny no one ever said you are free to watch. But honestly why waste your time on something that you dislike so much. Most normal people would watch soemthing else but then if you did that Johnny you would have nothing to come on and complain about on the internet every day. You can keep watching Johnny but unless the ratings drop to extreme low numbers than Ron is here to stay. SO keep hoping for something that won’t happen for a long time. I want Micheal to find out the truth…i want him to confront Sonny with a gun with intent to shoot…Sonny thinks he is bluffing, says’But you wouldnt shoot your father!’…Micheal pulls the trigger but nothing happens because its a fake gun! Micheal angerily retorts,’I wouldnt shoot you…im not a monster…im nothing like you! And you are NOT my father because a true father would never hurt his own son…the man you murdered in cold blood is my ONE AND ONLY father-A.J. Quatimaine! And im proud to be his son…i am Micheal Quartimaine!!! “so far out of touch with what viewers want”… Let’s see, since Cartini arrived ratings have risen, it was Soap Opera Digest’s Best Show for the last two years, they got rid of the dark that everyone complained about, they brought back tons of legacy characters (and Nurses’ Balls) for the short- and long-term…. Killing off a legacy character, yes, I agree, bad idea. But they’ve listened to what viewers want more than they have not. I agree with some of your points but much of the dark has returned…Carlos is shot, Max is shot, Julian is beaten, Heather is stabbed, Franco shot, a day player is murdered, and A.J. attempts to strangle Ava but is gunned down and dies all in just a few short months…Yes, the show has improved and the ratings are up…some days i enjoy the show but its overloaded with too many villains and too much violence…so its still too dark! If they’d at least cut back half the darkness and fix the choppy plotting of the stories then the show would be so much better!!! Amen to your comments, Johnny! Today’s show was absolutely dreadful as a singular episode, let alone a special 51st anniversary program! The “Three Faces of Carly” and their “Sonny Boy” was a complete waste of time, perhaps because I couldn’t care less about any of them!!!! Ron’s obligatory, ongoing trashing of Frisco Jones was again front and center, along with a nice slam at Noah Drake, too….as if reuniting with an old flame were a major sin…c’mon, why would a (still very) hot guy like Rick Springfield really want to cavort with the likes of the over-botoxed, surgically-altered Bobbie???? (He and Anna were the real couple to watch….loved them together!) Nurse Spencer is completely, over-the-top annoying (and just impossible to watch anymore)….Ditto for the mundane Felicia, overbearing Lucy (and Scotty) and dull Mac (please, NO more Mr. Marbles!) The only one I even felt for was the clueless Doc being stuck with that bunch of deceptive bores…And the thought of another “Nurses’ Ball” is the last thing I even want to ponder right now….not to mention the possibility of once again being subjected to the demented antics of Richard Simmons…God help us! It was all such a mishmash and misuse of the ingredients that once were GH’s recipe for success. That being said, the only magical moments were the heartbreaking, poignant ones that marked AJ’s bittersweet swan song….how beautifully acted by both Sean Kanan and Leslie Charleson. They truly captured the immense tragedy of his (totally unnecessary) demise and departure….quite the tearjerker as it represented not only the death of the beloved Quartermaine that so many of us were fervently rooting for to succeed, but a metaphor for the entire soap…it’s as if all the wonderful elements that once comprised the mythology of Port Charles are systematically being extinguished by this current regime. So very, very sad. I wish the show hadn’t killed AJ but instead sent him away to get treatment.That way Sonny and Ava both would have to worry that AJ would wake up.As for Sean Kanan he asked to be released from his contract and the show was willing to accommodate him.Plus i don’t think him going back to B&B happened overnight.There might have been some informal negotiations between him and Brad Bell and then once he’s got an offer to return then he may have asked GH to release him.So i’m wondering if B&B hadn’t wanted him back would Sean had asked to be let go or would he have stayed at GH?As for how GH is doing in the last ratings report they had more than a 100,000 or so more viewers then the same time last year. From both a storyline and audience reaction perspective your way was definitely the better option, Andrew. I have no quibble with SK wishing to leave the show at this time….he was given truly inferior material and his character was constantly abused….most of us were not at all happy with these developments, so I can completely understand the actor’s displeasure. Once again, it’s not the what but the how….so AJ was departing the Port Charles canvas? No problem, he certainly could have been left in soap limbo for awhile or even indefinitely….it happens all the time, and this would have been a fine plot device to keep things interesting. But no….instead we were (once again) subjected to a petty little man’s contempt for a character, his current portrayer and his fans via a vindictive and pretty much definitive event that (apparently) slammed the door shut for any future possibilities. Just…plain…tacky…..and unnecessary!!!!! I checked my DVR when I got home and most of the show was preempted due to breaking news from Obama about Health Care. I will check ABC.com later tonight. I normally don’t care much for the kids’ storylines on GH, but I have been enjoying Spencer, Emma, and Cameron’s storyline the last couple of months. 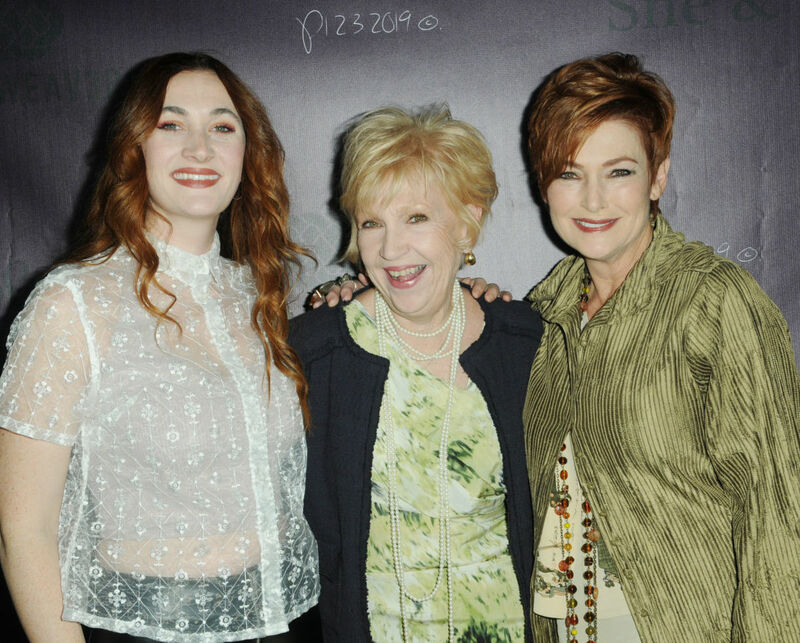 They killed another Quartermaine,what a way to celebrate the shows history. Seriously GH Fans…… you are just about the most negative bunch I’ve ever had to deal with. 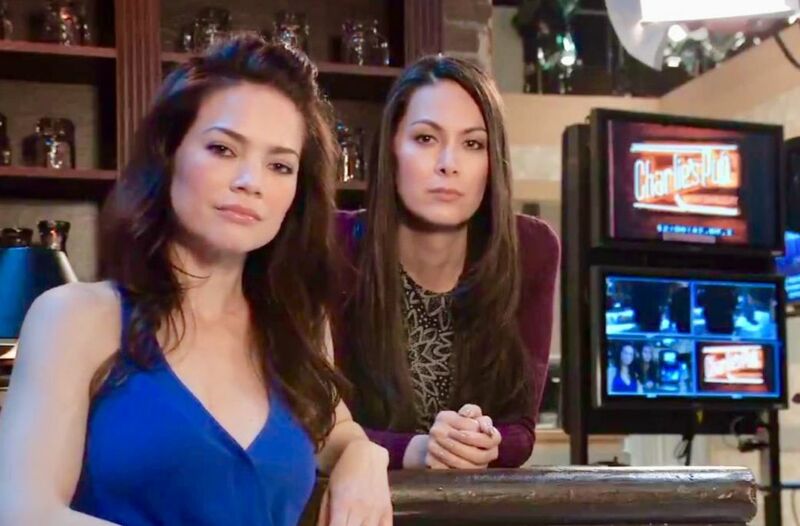 Constant complaints b/c Steve Burton QUIT, constant whining that Robin needs to come back, when the actress is coaxed back for a few months — the complaints then escalate b/c she opts to leave again, there’s too much violence vs. Sonny isn’t on enough, the show is too serious vs. the show is too silly. Constant harping that ABC is going to cancel the show. WHAT WILL MAKE THE VIEWERS HAPPY? Let’s face it. Nothing lasts forever. Let’s enjoy the show while it’s on. Let’s enjoy the actors that stick with the show & enjoy the ones that return for however long in duration. Just enjoy and stop complaining. Peace. some of you are blaming RC for decision that Sean Kanan made.. It was Sean Kanan who called Bell and asked to go back to B&B and to have a romance , he wanted back to B&B.. Sometimes it is the stars and their decision to leave..
ALL actors love to go out with a bang not a whimper; fact..
Sean most likely loved his death scene, much better than off to Iowa bye bye.. He will be happy back in his comfort zone a place he wants to be B&B.. I wish him all the best ..
Plus it was reported that a few months that Brad Bell approached Sean Kanan about returning to B&B but Sean told him he was under contract to GH for awhile more.For the record i have no problem with Sean Kanan going back to B&B if that’s what he wanted to do.My issue is if he didn’t know B&B wanted him back would he still have asked GH to release him?Plus did Sean call Brad Bell to see if the offer to return was still open before he asked to be let go from GH?So Sean may have made sure he had a job at B&B before leaving GH.I’ll miss Sean on GH but i’m sure the show will survive without him just fine.As for the anniversary episode i thought it was nice and just happy that the show was able to celebrate their 51st anniversary because a few years ago there were rumors that GH would be cancelled. guess what happened in colorado springs where GH airs at 2pm?? GH was interrupted by by george stupidnopilous for late breaking news on obama care. lol, yes, late breaking new on obama care. so the news division thats run by the guy who will by next year run all of abc daytime, interrupted GH anniversary episode for news that could of waited for later on. how disappointing. i”m not freaking out, eventhough theres no soapnet, and the abc apt makes it impossible to watch the episode, thank god for itunes, i’ll buy the episode for a few bucks and it will be worth it. as for abc, this was wrong, theres life and death breaking news and news that could of waited for later broadcast.. i feel sorry for those who wont be able to catch the episode. from a SF Bay area fan. I’m in Portland and the same thing happened to us. What a stupid reason to interrupt the show but that is ABC news for you. If they had found that missing airplane I could understand but Obamacare, give me a break. Yeah, the president’s comments could have been held for the evening news. ABC made a big mistake cutting the regular programming. Today was a fan’s treat. Thank you GH for the haunting opening with the names we have loved to the Carlypalooza to the ending at the stairwell. what was the name of the song as emily was taking AJ out..anyone know? The song is called “The Lovely Years” by Fisher. Can get it on iTunes for .99 cents. I too searched for an hour trying to find the name of the song. I have been watching GH for 51 yrs. Started watching with my grandmother. It has always been my favorite soap!